Most people walk through Meridian House and come away impressed with the shear size of the Beaux Arts mansion designed by the renowned John Russell Pope in 1919. Me – I liked the trees in the back. U.S. ambassador Irwin Boyle Laughlin built the house at 1630 Crescent Place N.W. by Meridian Park after retiring from the Foreign Service, though he would later become ambassador to Green and Spain over the 1920s and ‘30s. Oriental porcelains and 18th century French paintings fill the house. Boyle imported 40 Linden trees from France where many ancient southern villages use them for shade and fragrance. The leaves are dried to create tea. You feel a little like Robert Frost wandering through these trees. They have a calming effect even in winter minus their canopy. Sounds perfect for an ambassador’s retreat. 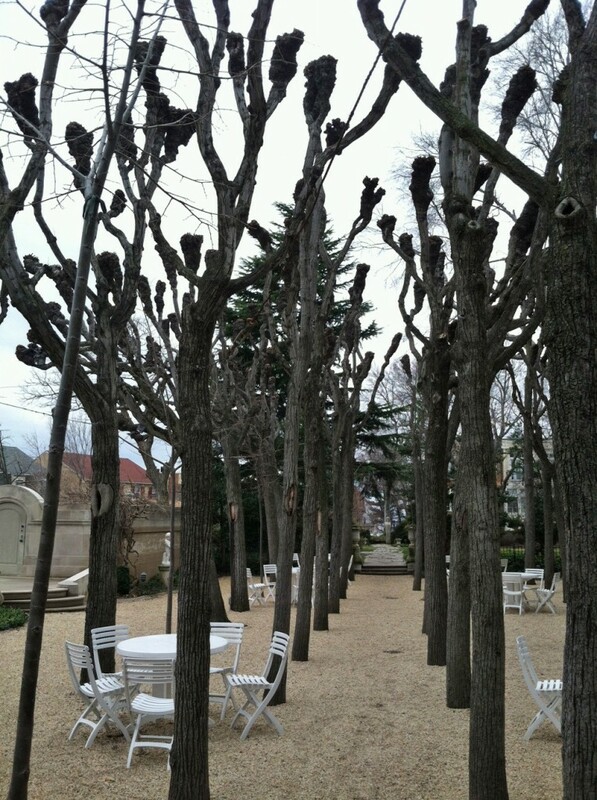 This entry was posted in Attractions and tagged Best Washington DC walking tours, Linden trees, Meridian House, Photo by Rick Snider, Washington D.C.. Bookmark the permalink.